Archaeologists in Turkey have uncovered a historical document which points to a mosque complex in Szigetvar, Hungary, as the site where the heart and internal organs of the Ottoman Sultan, Suleiman the Magnificent, were buried in 1566, and now the hunt is on to recover them. Suleiman (Süleyman) the Magnificent was the tenth and longest-reigning Sultan of the Ottoman Empire, from 1520 to his death in 1566. 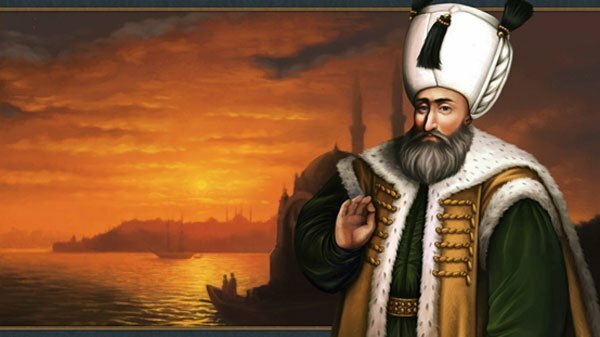 He became a prominent monarch of 16th-century Europe, presiding over the apex of the Ottoman Empire's military, political and economic power and was well known for overseeing the "Golden" age of the Ottoman Empire in its artistic, literary and architectural development. He personally led Ottoman armies in conquering the Christian strongholds of Belgrade, Rhodes, as well as most of Hungary before his conquests were checked at the Siege of Vienna in 1529. Under his rule, the major Muslim cities, many Balkan provinces, and most of North Africa were brought under control of his Empire and the Ottoman fleet dominated the seas from the Mediterranean to the Red Sea and through the Persian Gulf. The sultan died in Szigetvar while his troops besieged its fortress, defended by locals led by Croatian-Hungarian nobleman Miklos Zrinyi. His death was kept a secret from his troops for some 48 days. Historians believe Suleiman's heart was buried near Szigetvar, and his body taken back to Constantinople, as Istanbul was then known. Historical records say that Suleiman’s body was temporarily mummified and buried under his bed at his imperial tent near the fortress, after his heart and internal organs were removed for the process. The body was then transferred to Istanbul, while the organs remained in Hungary. 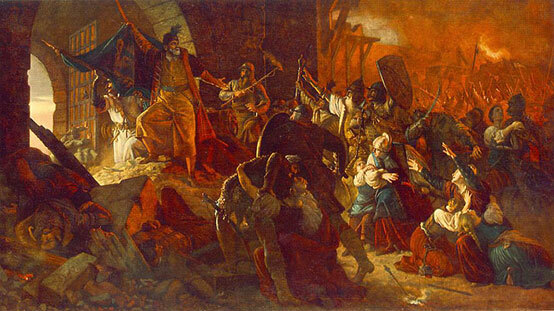 The siege of Szigetvar. Image source . According to a news report in Hurriyet Daily News , the documents that supposedly reveal the location of the sultan’s heart were found accidently while researchers were studying the charter of the Sokollu Mehmed Pasha Foundation. “It says the internal organs were buried in the garden near the ‘hanikah’ (dervish lodge) of the Suleiman Mosque in Szigetvar,” said Mehmet Zeki İbrahimgil, a history professor at Gazi University. While some experts are sceptical about the discovery, the research team who found the document are hoping to obtain permission to excavate the supposed location with the goal of locating the heart by 2016, which marks the 450 th anniversary of Suleiman’s death. Archaeologist Norbert Pap expressed last year that the search is not just about finding the heart, but also “reconstructing each layer of the history and geography of the past 400 years”.